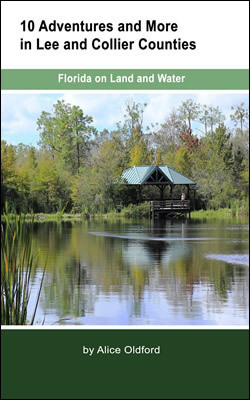 Where can you enjoy an active outdoor experience in bustling Lee and Collier counties in Florida? Interested in learning some local history? How did the Monday Group, a bunch of ‘70s teenagers, influence development of Six Mile Cypress Slough Preserve and Manatee Park. Who were the utopian Koreshans? Try a family outing at Everglades Wonder Gardens, formerly a roadside attraction in the heart of Bonita Springs. Experience Florida scrub at Hickey’s Creek Mitigation Park. And there is water, water everywhere perfect for a leisurely paddle. Adventure right here in your own back yard. Embracing Hunterdon and surrounding counties, oases in western central New Jersey, the most densely populated state in the United States, inspired You Can Get There from Here – Hiking Hunterdon County Trails and Hiking NJ Trails – Hunterdon County and Beyond. Hunterdon, Warren and Morris counties are part of the Skylands Region bounded on the west by the Delaware River with a view of Pennsylvania. Farm fields, forests, hills, wildlife, and four reservoirs – as well as historic homes, farms and estates – describe the landscape of Hunterdon, Warren and Morris counties, home to parks and trails offering outdoor opportunities to folks of all ages. 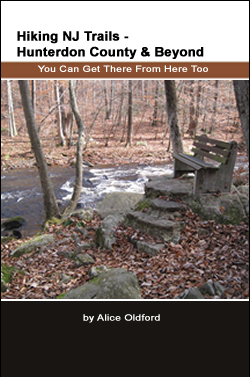 My first book, You Can Get There from Here – Hiking Hunterdon County Trails, in collaboration with Sue Dziamara, grew from our walking and exploring in Hunterdon County and wishing to share the wealth. 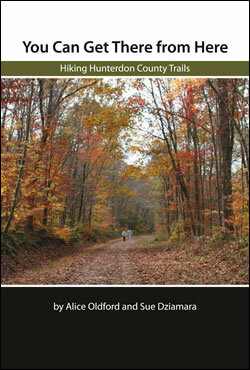 The sequel, Hiking NJ Trails – Hunterdon County and Beyond: You Can Get There from Here Too, just broadens the quest a bit extending to Highlands trails and some trails outside of Hunterdon County. I hope these books will pique your interest and passionand move you todiscover these treasuresforyourself and to share them with others. By all means, bring yourcamera. 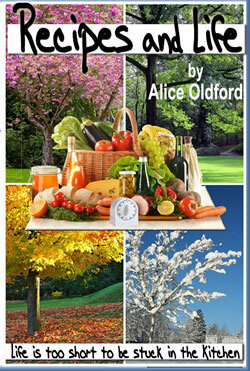 Seasonally there are all sorts of things of interest you might want to share from goslings and tadpoles in spring to glistening virgin snow in winter. Enjoy the trails year round, and do some exploring on your own!